Do you want a fun and enjoyable way to help your children learn the concept of days, months, date, time, holidays with activities that they will look forward to? 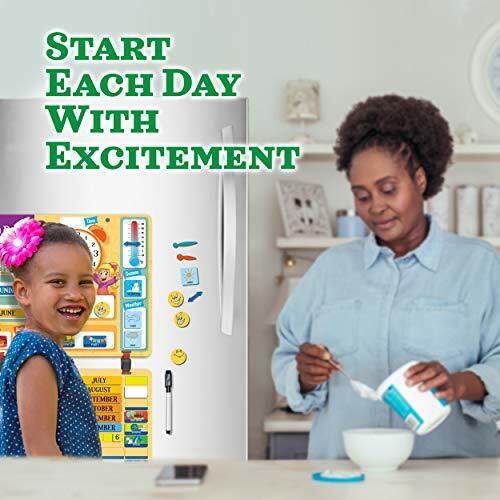 My Daily Kids Calendar is a fun, interactive magnetic calendar for kids to learn the days, month, date, year, seasons, weather, temperature, time, holiday and their own activities, an exciting way to start a childs day! 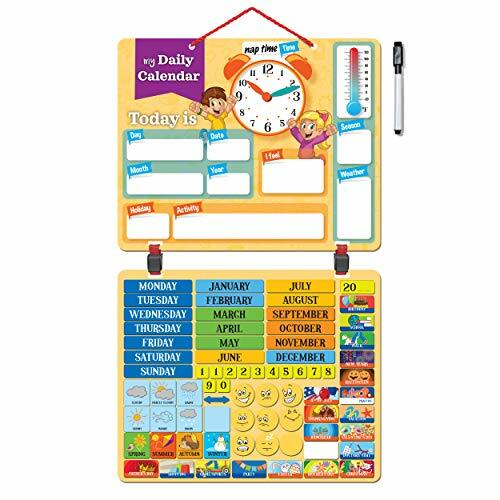 My Daily Calendar comes complete with 2 magnetic boards which can be easily be joined or separated if needed. 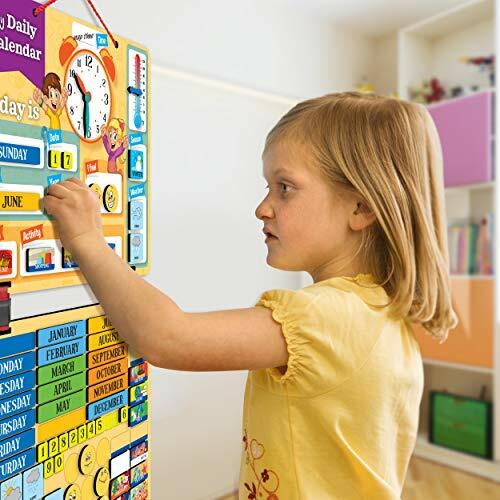 76 beautifully decorated foam magnetic pieces that are designed for your children to easily relate to and understand. Plus, blank foam magnetic pieces to allow your kids to create their very own personalized magnets for holidays and special days. 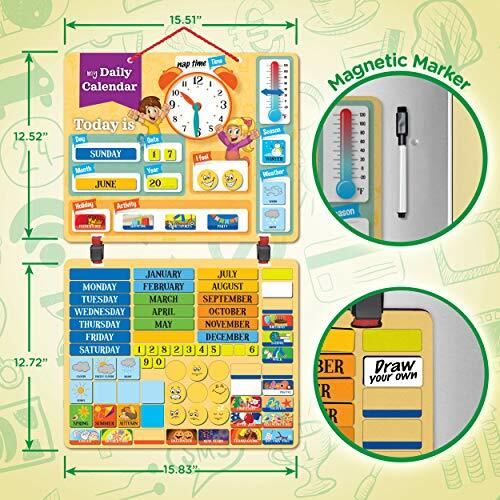 Complete with magnetic dry erase marker, 76 easy grip magnetic pieces and blank foam magnet pieces. Each board size, 12.5 inches x 15.5 inches x 0.2 inch thick. Give your children a sense of accomplishment as they look forward with glee, to their activities and fun days. See their happy smiles as the special days and holidays get closer! 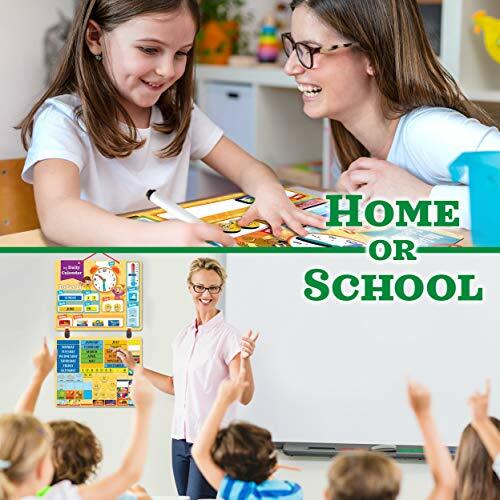 Your kids will learn about days’ weather, holidays and it’s also a great school calendar for the classroom. 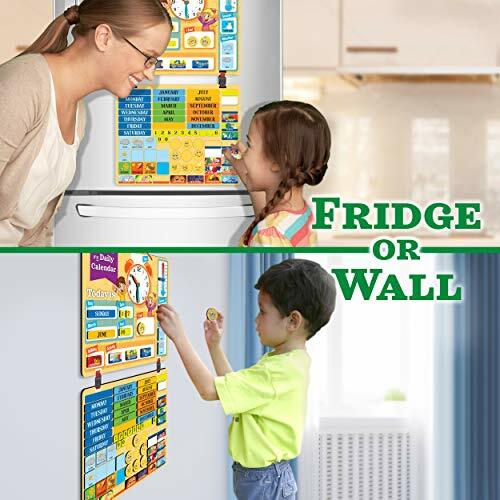 Two foam magnetic boards with easy to use connectors which can be separated for smaller spaces, with a sturdy attachment for hanging. Thick foam magnetic pieces for easy grip, decorated with pictures that your kids will love. 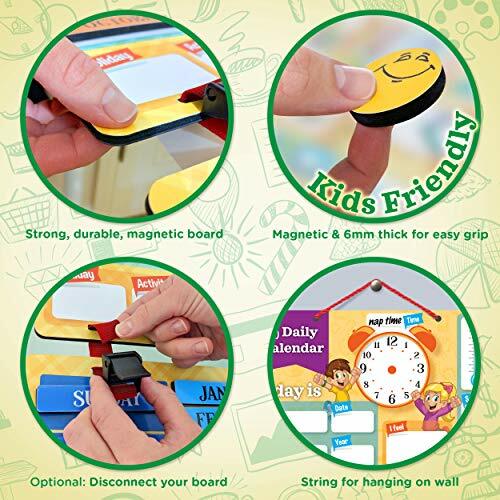 Fabulous as a magnetic calendar for toddlers.